Coming into the tournament, the U.S. Men’s National Team was short on name recognition (outside of the diehards out there) and long on youth. 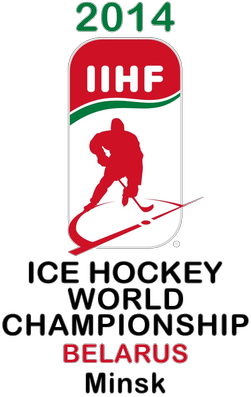 With the newer format that only the top four teams advance to the quarterfinal at the 2014 IIHF Men’s World Championship, getting in was bound to be difficult. The youthful roster, made it through a difficult preliminary-round field with a 4-1-0-2 record, good for second in Group B and setting up a date with the Czech Republic in the quarterfinals on Thursday. Coming into the tournament, I thought some variation of a 4-3 record was probably going to be the best-case scenario. They did one better with four regulation wins and one in overtime despite a relatively tough schedule to start the tournament. The Group B field included Russia, a team often among the favorites to win the World Championship; Switzerland, last year’s surprise silver medalist; Finland, the team the U.S. beat for bronze last year with a much more talented roster; they had to open the tournament a host Belarus in front of a sold-out crowd, then Latvia, Kazakhstan and Germany. Before the puck dropped, just going off the tournament history and what I saw in the rosters, I thought this U.S. team was going to have an extremely tough time winning against Finland, Switzerland and Russia. Even though the Russians were missing some of their top talent, they had Alexander Ovechkin and Sergei Bobrovsky, and that seemed like a guaranteed loss. It was. 6-1. The U.S. pulled off wins over Switzerland (which got less impressive as the tournament wore on and the Swiss finished outside of the medal round) and Finland with their best efforts of the tournament. A surprising 6-5 loss to Latvia and more-surprisingly needing overtime to beat Kazakhstan were the other blemishes on the record. Other than that though, I think this result is the best-case scenario you could have predicted coming in. So now that they’re through, it’s time to reassess Team USA and take a look back at the seven games that got them to this date with the Czech Republic in the quarterfinals, a really tough draw by the way. So here’s a look at the areas that haven’t been great, those that have been and a lot of stray observations with player notes. – Losing to Latvia in a 6-5 game is pretty poor no matter how you slice it. This Latvian team had a fair amount of talent and I really liked their make up, but the U.S. team was better on paper. The Americans played poorly and Tim Thomas couldn’t stop a thing. It was a tough night overall. Looking back, it didn’t hurt the U.S. too much as it wouldn’t have changed their seeding. It may have been a good wake-up call, however as no team is to be taken lightly at the Worlds. With the right game plan and execution on the big ice, teams can pull surprises and did this year. – Losing Jacob Trouba four games into the tournament stings. Trouba had been Team USA’s top defenseman and playing in all situations and logging the most minutes. The 20-year-old Jets rookie did have a rough game against Russia, but was mostly good in his brief time with the team He was sent back to Winnipeg for precautionary reasons and leaves the team with six defensemen, which could be bad if another of the six goes down. Luckily for the U.S., the loss of Trouba has been offset by the stellar play of Seth Jones. Additionally, Connor Murphy has improved as the tournament has gone on after being scratched three times. Still, this D corps playing as it has the last few games is much better with Trouba in it. – Tim Thomas has had flashes of his old self, but more often than not, he has not been helping this team enough as its starting goaltender. He has played every minute but the final 20 of the loss to Russia and has collected an unsightly .867 save percentage, worst in the tournament among starters, and has allowed 22 goals so far in seven appearances. With the exception of his performance against Finland, in which Thomas was rather good (and at times extremely lucky), the U.S. has won games without much help from their goaltender. The loss to Russia can’t be pinned on Thomas, but he had a hand in that 6-5 stunner against Latvia. The U.S. needs him for three more games and he needs to be his very best if Team USA hopes to play all three. – There have been a few games where Thomas needed more help, too. The defense has been hit and miss in this tournament. It was at its best against Finland, when the group kept things between the dots and stayed disciplined against a Finnish team that lacked high-end skill of other years. With the exception of Seth Jones, there’s been a lot of inconsistency from this group. If they find a way to play like they did against Finland, they should be able to beat the Czechs. If they play more like they did against Latvia, well, then Thursday could get ugly. These next few days will be particularly important for Jeff Petry, Jake Gardiner and Danny DeKeyser who have all had some terrific flashes in this tournament, particularly Gardiner whose skating and skill makes him noticeable every game. These three guys have the most NHL experience on the roster and will be looked to for key minutes in these more important games. – The wins over Switzerland and Finland were big ones for Team USA. Those were games coming in that I think the U.S. was probably a bit of an underdog. Both were impressive from the way the team played and the push they got from their opponents. That win over the Swiss really was the spring board for the rest of the tournament. – Seth Jones hasn’t looked 19 once in this tournament. He leads all defensemen with nine points and has seen his role increase greatly. The Nashville Predators blueliner is averaging more than 25 minutes a game, playing a ton in the wake of Jacob Trouba’s injury. I know plus-minus is a wonky stat, but without a ton of advanced data available for the tournament, and having watched the games, Jones has earned his plus-6 rating. This is a team that has given up 22 goals, but their No. 1 D is a plus-6. He is a factor at both ends of the ice and I would not be surprised to see him play upwards of 28-30 minutes throughout the medal round. Just an incredible showing for this rising star. Team USA head coach Peter Laviolette has to be feeling even better about joining Nashville now. – Johnny Gaudreau leads Team USA with 10 points and has been dynamic all tournament. I think he’d have even more points if the guy on the other end of his passes could finish. Gaudreau has made a number of plays that have impressed even me who has seen him play an awful lot over the last four years. Seven of his 10 points came against Belarus and Germany, but I think he’s been a factor in every single game so far. He is forcing teams to take away his skill and most can’t seem to. His distribution abilities are off the charts right now. He’ll face a much tougher test against the Czechs in the quarterfinals, but considering that he had one game of pro experience coming into this tournament, having 10 points over seven games is pretty special. Over the last decade, no player who played the bulk of his season prior to Worlds in college hockey has done what Gaudreau is doing right now. – Tyler Johnson is going to be overshadowed by Gaudreau’s skill plays, but I think he’s been Team USA’s best all-around forward this entire tournament. Johnson is so good at both ends of the ice, he kills penalties and his speed forces teams to be aware of him at all times. He has seven points in the tournament and is part of Team USA’s sensational top line with Craig Smith and Brock Nelson (which I’ll touch on again in a bit). The Calder Trophy finalist has looked every bit as good as he did tearing it up with the Lightning this year. He is a featured player for this U.S. team and has risen to the role quite nicely. – At this point, Craig Smith is a World Championship superstar. He may not be the most well known in the NHL, even after his first 20-goal, 50-point season with the Predators this year. However, Smith had 22 points in 21 career games at the Worlds coming into this tournament, including a 14-point performance last year en route to bronze. He now has four goals and three assists, to continue his point-per-game pace in this tournament in his fourth trip. The most telling stat about Smith so far in this tournament, is that Smith has a staggering 33 shots on goal in 7 games, an average of nearly five shots per game. Brock Nelson is next closest on the team with 19 shots… so Smith is most definitely the focal point of this team offensively and he has absolutely taken on that role. – The top line of Brock Nelson, Craig Smith and Tyler Johnson has been really something. Smith has seven points, Johnson has seven points and Nelson has six points. They have combined for 70 shots on goal in the tournament and have been a factor in just about every game they’ve played. All three can play really soundly in the offensive zone and they’re not liabilities defensively. The speed this line plays at is going to give a lot of teams trouble, including the Czech Republic. – The U.S. is third in the tournament with 27 goals scored, trailing only Russia and Canada, respectively. Offense was a big question coming into the tournament with really only Craig Smith with proven offensive prowess at this level. Brock Nelson and Tyler Johnson have been capable scorers, while anyone paired with Johnny Gaudreau and Gaudreau himself have been able to produce. The U.S. is also getting its defense engaged in a big way in this tournament, which helps supplement the relative lack of scoring depth up front. Seven goals have come from defensemen with two scored by each of Trouba, Jones and Matt Donovan, who has been effective in limited minutes. Jake Gardiner has the other goal. The U.S. is also third in the tournament with 239 shots on goal, good for 34 per game. That’s extremely impressive in a tournament where offense can be hard to come by. – Team USA’s power play leads the tournament after the preliminary round with 10 goals and a 27.7% success rate. Special teams can help win you and lose you games internationally. The U.S. has gotten over a third of its goals on the power play. If they are going to struggle at even strength, and they really have at times this tournament, the power play has to be hopping in the next round. – Team USA seemed to find the right mix for its second line against Germany. Gaudreau is now with Justin Abdelkader, who has been lauded for his leadership as the team’s captain in the tournament, and Tim Stapleton. Putting two speed/skill players like Stapleton and Gaudreau with Abdelkader has provided a good mix. They play with pace, Abdelkader is good at both ends, and they produce. Gaudreau seems to have built some chemistry with Abdelkader in particular. – The goaltending situation is an interesting one. Thomas has been poor, but he’s the only goaltender on the roster with previous playing experience at the NHL and World Championship level. That’s why I would have liked to see Laviolette get one of David Leggio or 20-year-old Connor Hellebuyck at least one start in the prelims, just to see if they had something. The challenge here is that the way the tournament is structured now, the preliminary round results carry a lot more weight. With only four teams on each side getting through. I feel the decision to stick with Thomas is two-fold. For one, they know what they’ll get out of him and I think they’ve decided to live with the likelihood he is going to give up some bad goals. The second is that this is basically his last go at the tournament probably. He’s been there seven times and has been a good soldier for USA Hockey over the years. I don’t think Laviolette is much of a sentimental guy, but I do think going to Thomas repeatedly is a show of respect for his contributions. As he showed against Finland, he can still pull a great game out of his hat. Now he needs to do it three times if the U.S. has a chance at winning. Since the young guys never played thorughout the tournament, you can’t go to them now. It’s Thomas’ net and they’ll deal with the consequences. – The area I am most pleased with about Laviolette’s coaching so far in this tournament is his reliance on the team’s youth. He didn’t shy away from throwing guys like Johnny Gaudreau, Kevin Hayes and Jake McCabe into large roles off the bat and letting them prove that they can’t instead of proving they can in lower-leverage roles, where success is harder to come by. It’s no surprise that an elite young player like Seth Jones is the team’s most utilized player, but Hayes was in a top-six role at one point this tournament and McCabe was a top-four defenseman early. Gaudreau surged, the other two struggled a bit and were moved, but they’re still playing important roles. Laviolette clearly embraced the young roster USA Hockey gave him. This year is more important for development than anything else and he’s helped it happen. – One of the things I was most intrigued to watch in this tournament for Team USA is how the two former Hobey Baker winners on the roster would compare. Both undersized, but dynamic scorers at the college level, I wondered how 2011 winner Andy Miele would look on the same sheet as the 2013 Hobey. Also, I was wondering how close Miele is to NHL ready, if at all, after he put up 72 points in the AHL this year. The contrast is stark. Gaudreau’s skill level puts him on another plane. Miele, meanwhile, has been lightly utilized, playing in four of the seven games. He is one of two forwards on Team USA’s roster without a point and I would not be shocked to see him sit in the medal round. I really thought Miele would be a top-six forward on this roster based on his AHL production, but it’s pretty clear that would have been an ill-fitting role. – Kevin Hayes was the second leading scorer in college hockey last year and is one of four recent collegians on the roster with Jake McCabe, Gaudreau and Hellebuyck. Hayes has played in every game and has moved around the lineup, but he’s had an interesting tournament. He has two points and is averaging about 11 minutes a game. The 22-year-old former first-round pick hasn’t signed his deal with the Chicago Blackhawks yet and could hit unrestricted free agency. You may recall when that happened with Blake Wheeler and Justin Schultz in recent years. I don’t think Hayes is going to garner anywhere near the same level of interest as those two should he not sign with Chicago. But in Chicago’s system, I think he’d be pretty well down on the organizational depth chart. He is going to play in the NHL at some point, I definitely believe that, but this tournament has exposed his readiness a little bit, I think, after a dominant college season. The thing that has impressed me most about Hayes, however, is that he has gotten better as this tournament has gone on, has fit into the roles he’s been asked to play and after the first two or three games, hasn’t looked out of place. He definitely needed to adjust and I think he has. – Jake McCabe, who just two months ago was taking college classes at Wisconsin and helping the Badgers win the Big Ten title, started this tournament in the top four for Team USA, playing with World Junior D partner Seth Jones. He has seen his minutes decrease as the tournament has worn on, which is the right call from the coaching staff. That said, I am seeing a lot of glimpses of why McCabe probably spends a good portion of next season in the NHL. His skating and puck skills have come such a long way since his draft year even and I see him evolving into a pretty talented NHL player. His decision-making needs a little work and I think he’ll need to add strength even though he is already quite strong. He is at this point a very good prospect. If he makes a few small adjustments and tacks on a little more muscle, he becomes a high-end prospect. He plays a hard-nosed game and has some really intriguing offensive skills. I’m excited to watch how he progresses as his development arc over the last four years points to a player still exploring his potential. This is a guy Sabres fans should be excited about. – Jake Gardiner has been a guy mentioned in a lot of trade rumors recently it seems. If he can be had for the right price, I don’t know why any GM wouldn’t jump at the chance to get him. There’s certainly an element of risk-reward in Gardiner’s game. He has made some questionable decisions and passes in this tournament, but overwhelmingly, his speed and skill level have made him jump out of the TV screen every game. Does his defense need work? You bet. But I’ll take my chances with a guy who can wheel like that and create. The Maple Leafs shouldn’t be too quick to shed him from their roster. The best is yet to come in his career. – The IIHF has had a really weird tournament when it comes to suspensions and referee controversy. The crease violation rule reared its ugly head on a game-altering play in Latvia-Belarus. The referee refused to review Latvia’s tying goal against Belarus with 35 seconds remaining. I believe the review would have showed that the correct call was made, but the referee’s unwillingness to go to video in a game in which the host country had a trip to the quarterfinals just reeks of favoritism. It was offensive that the referee wouldn’t go to review the goal on a call that was really, really close. We’re talking fraction of inches close. The IIHF also suspended Germany forward Marcus Kink for his hit on Alexander Ovechkin that left Ovi injured. The one-game suspension, which effectively ended Kink’s World Championship, was farcical at best. The explanation even moreso when at no point did it make clear that a suspension was warranted other than defining Kink’s contact on Ovechkin amounted to “clipping” which was a huge stretch. They suspended Kink for injuring Ovechkin. End of story. Was the play reckless? Maybe a little, but there appeared to be no ill intent and the IIHF embarassed itself with a disciplinary decision that just didn’t meet the smell test. I will say that the IIHF’s strict discipline on kneeing, checks to the head and hits from behind is right on the money and protects players. This was a reaction to a star getting hurt and that decision undermines the IIHF’s aim for fairness. Team USA will meet the Czech Republic Thursday at 9 a.m. ET. The game will air on a half hour tape delay on NBC Sports Network (for some reason I don’t know), but will be carried via live stream on NBC Sports Live Extra, which should be free with your cable subscription on most providers. I’ll have a brief preview posted soon. This entry was posted in IIHF Men's World Championship, NHL, U.S. National Teams, USA Hockey. Bookmark the permalink. I admit bias as a DU alum. Now that that’s out of the way. I think Drew Shore is under estimated. He plays whatever role he is given. Not the flash of Jason Zucker at DU, but he won faceoffs, got the puck to Zucker, and managed to score as many goals. Doesn’t get the press, just does his job. Dedicated to his craft. In the last 2 games at the World’s Drew’s playing time almost doubled and he responded with a goal and an assist. And I loved his shorthanded goal! Gotta be a confidence builder. Kudos to Matt Donovan–limited playing time before Trouba got hurt, but he is an offensive defenseman and he is getting his chance. And Johnny Hockey, Seth Jones, well what can you say. They are special. And Chris,t hanks for the coverage.